This bar is infused with nutrient and antioxidant dense ingredients that work together to rejuvenate, detoxify, energize, and supplement the skin and body from pollution and wear. 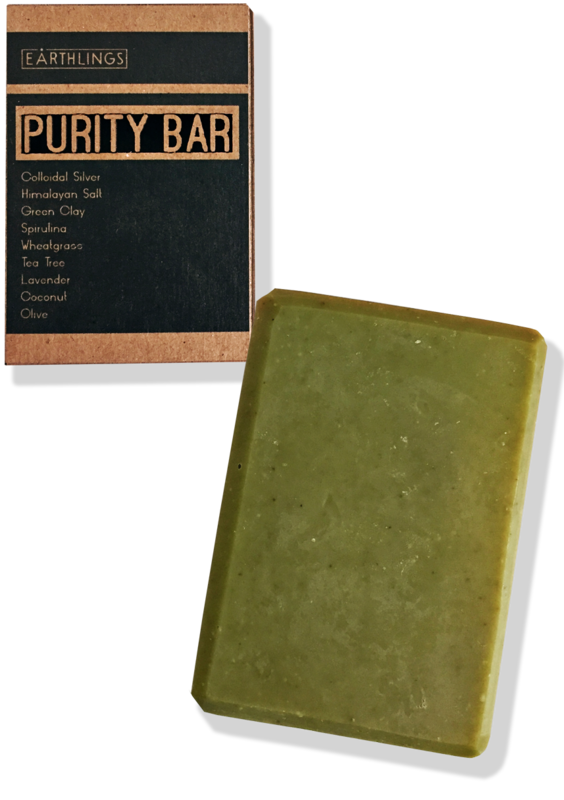 This bar was made to rescue troubled skin by lifting away the impurities that lead to breakouts. Our ingredients work holistically to open, purify, and refine pores leaving behind only fresh, balanced skin. We developed this bar to bring your skin's best glow forward. Our ingredients work together to detoxify skin, increase collagen production, and refine pores. The results are a bright and even skin tone and texture. We designed this bar with a man’s unique needs in mind. Our ingredients work together to detoxify and deep condition skin and facial/body hair. If used regularly, the results are clean, healthy, and radiant skin and hair.